At The Golden Cross Inn we continue the centuries-old tradition of English inns in offering a hearty meal and a good night’s sleep for a reasonable price. All our rooms are contemporary in decor and furnishing while retaining the traditional features of the original coaching inn. 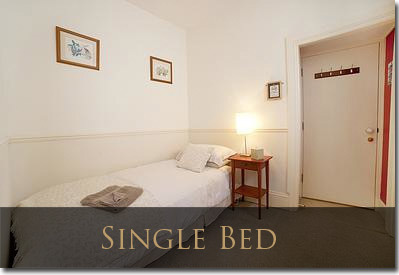 an affordable price, with stylish decor and clean en-suite facilities. In-room amenities include flat-screen LED TV, tea and coffee making facilities and WiFi Internet access. 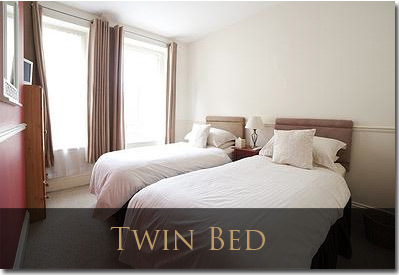 Our stylish double room comprises an over-sized double bed with wardrobe, work desk and twin bedside tables. The en-suite shower room is compact yet functional with a full walk-in shower, w/c and hand basin. In-room amenities include flat-screen LED TV, hair dryer, tea & coffee making facilities and WiFi Internet access. 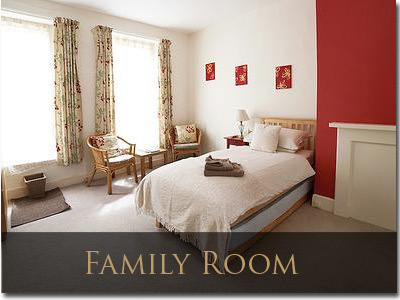 This two-room suite is ideal for families or up to four adults sharing. Accommodation comprises twin beds in the main bedroom, with a further double bed in the second (attached) bedroom, plus a large family bathroom complete with shower and bath tub. Amenities include double wardrobe, work desk, tub chairs, flat-screen LED TV, hair dryer, tea & coffee making facilities and WiFi Internet access. 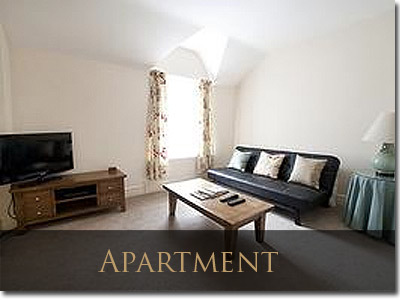 Our signature Apartment offers flexible accommodation for long or short stays. For the busy executive, the Apartment is an ideal base with separate living and sleeping accommodation, with a "bachelor kitchen" complete with fridge, microwave and espresso coffee maker. The living room features a flat screen LCD TV, iPod dock and speaker system together with a sofa-bed and occasional chair, while the bedroom offers a comfortable king-sized bed and ample wardrobe space. Bathroom facilities comprise enlcosed shower, basin and w/c.